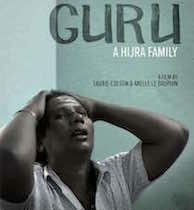 Following the premiere at Millenium festival last March and a very satisfying sold out screening in Paris, “Guru, a hijra family”, the first documentary by Laurie Colson & Axelle Le Dauphin is shown Thursday 23rd June at Cinéma Sauvenière and will be screened six times at Cinéma Churchill. The film will also be shown Tuesday 28th June at Cinéma L’Aventure in Brussels for a unique event in presence of the two directors. Other screenings are scheduled in Mons and Namur this fall.